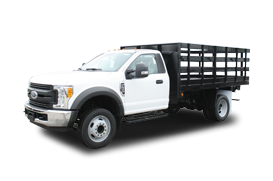 Cutting edge technology is helping Ford design the interiors of the newest work trucks and commercial vehicles. When you slide behind the wheel of any vehicle, you get a feeling. And that feeling is rarely indifference. Chances are it either feels right, or it feels a bit off. According to Ford, that feeling is one of the top three reasons why customers decide not to purchase a vehicle. 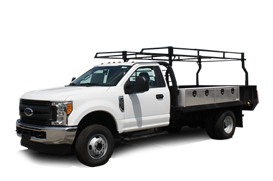 Especially when it comes to work trucks, where customers are using their vehicles far more than the national average of 25 minutes each day. 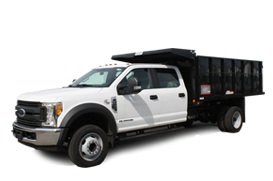 Interiors matter as much as capability, capacity, and functionality when it comes to work trucks. And this is one area where Ford will continue to surpass the competition. Ford is Tracking Brain Waves and Eye Movement to Dictate Design in all of their new vehicles, moving forward. Gut instinct, sketch pads, and functionality have served Ford well over the years when it comes to interior layout and design. Customer surveys, new technology, and sales have, in turn, guided changes to interior design for subsequent model years. It’s obviously worked with models like the Ford F-150 since it remains the best-selling vehicle in the world for three decades running. From now on, however, Ford’s global design team will no longer be relying on gut instinct and outdated surveys to guide their design process. Rather they have started utilizing cutting edge technology to provide hard data on how people see their trucks. Literally. The new technology is comprised of a system that can track brain waves to measure excitement and attractiveness, and eye tracking software is able to pinpoint exactly which elements in a vehicle are the most appealing, and which elements need some more work. It’s some futuristic stuff. This is precisely how the interior of the new Ford GT was designed, pictured above. Ford believes their new approach to interior design will translate into nearly every other area of design. Architecture, parks, home interiors, furniture, appliances, electronics, and any number of other industries seeking to gain maximum visual appeal will undoubtedly see the value in quantifying attractiveness. Especially as Ford continues to implement their new design strategies throughout their lineup.